Watch no-holds-barred action as the best fights captured on camera unfold. Hard-core combatants unleash fists of fury in brutal matchups, including Roy "Braddah" Cooper vs. Taro Obata and Jay R. Palmer vs. Mauricio Corty. 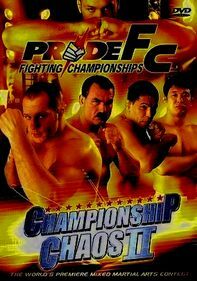 In other rigorous bouts, it's Palmer vs. Danny "Boy" Bennett; Eddie Yagin vs. Ryan Diaz; Egan Inoue vs. Yukiya Naito; Jason "Mayhem" Miller vs. Shawn Taylor; and Enson Inoue vs. Tommy "Trauma" Sauer.